This event finished on 30 November 2016. Categories: Arts One - academic event. 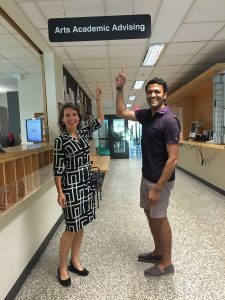 We’re thrilled and fortunate to have two fabulous UBC Arts Academic Advisors offer you drop-in advising each week in your Gateway Study Suite. They’ll be ready and waiting to answer your questions. Your 2nd Year and Beyond?!? In your Gateway Study Suite.